Contaminated site remediation in New Jersey is governed by a variety of rules and regulations that implement New Jersey’s environmental statutes. The New Jersey Department of Environmental Protection (NJDEP) recently adopted amendments to a number of these rules. The NJDEP also adopted new regulations addressing discharges from certain heating tanks known as “heating oil tank systems” (HOTS). The changes are numerous, and below we explain a few of the more significant and noteworthy amendments to the applicable rules. Existing rules required “major facilities,” which means facilities that store a certain threshold amount of hazardous substances, to address discharges according to both the facility’s discharge and removal plan (DCR) and the Administrative Requirements for the Remediation of Contaminated Sites (ARRCS), which requires a licensed site remediation professional (LSRP) to oversee the remediation. The revised rules allow the facility to remediate a discharge in accordance with either the DCR or the ARRCS, to give facilities more flexibility in cleaning up smaller spills. The NJDEP can still require the facility to retain an LSRP if the DCR plan is deemed insufficient to fix the discharge. Under existing New Jersey Pollutant Discharge Elimination System rules (NJPDES), certain de minimis discharges that can result from site remediation activities are authorized under a permit-by-rule, rather than requiring an individual permit for each such activity. The amendments to the NJPDES rules list out specific activities that are eligible for a permit-by-rule and explain the process for securing the NJDEP’s approval for the discharges. The amendments also add a requirement that dischargers stop any negative impacts caused by the discharges to groundwater and remediate those impacts in accordance with the applicable remediation requirements. The NJDEP also amended the Industrial Site Recovery Act (ISRA) rules to adjust the timeline by which the person responsible for conducting a remediation must establish a remediation funding source (RFS). The new rule requires the person to establish an RFS within 14 days after the NJDEP receives a remedial action workplan certified by an LSRP, in accordance with the timeline set by the Brownfield Act. The NDEP additionally revised the de minimis quantity exemption to no longer require that the industrial establishment obtain a certification that it is not contaminated above the applicable standards in order to qualify for the exemption, in response to a New Jersey appellate court decision. The NJDEP noted in the comments to the amendments that it retains the power to require remediation of an industrial establishment under other environmental statutes, even if it qualifies for a de minimis quantity exception. These are just a few of the recent changes to NJDEP regulations. 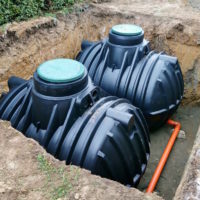 The certified underground storage tank experts at Herbert Lutz & Company can ensure that you comply with the new and pre-existing regulations in maintaining your storage tanks and remediating any discharges. For advanced, professional assistance, call Herbert Lutz & Company in New Jersey at 908-862-8888.